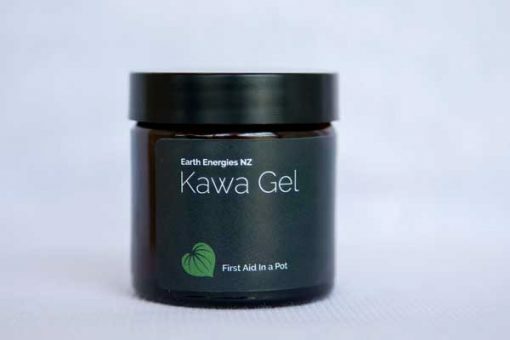 Earth Energies NZ | Kawa Gel "First Aid in a Pot"
All-natural Kawa Gel is our Number 1 Seller and trusted by thousands of Kiwi’s living both here and abroad. 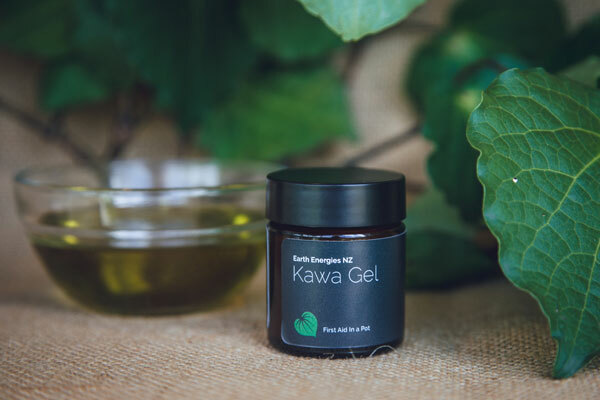 Kawa Gel is powerful, yet mild and gentle for tender skin. 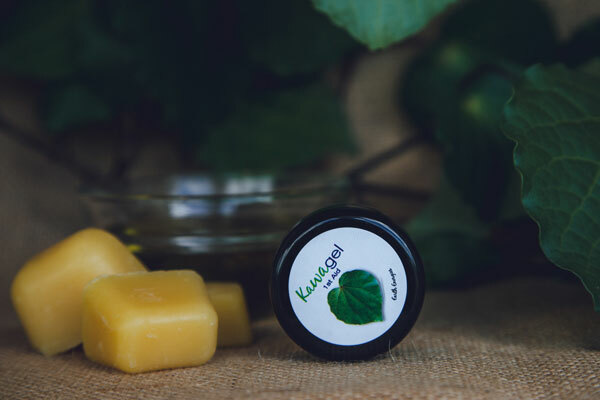 Lip balm for sore, dry & cracked lips. 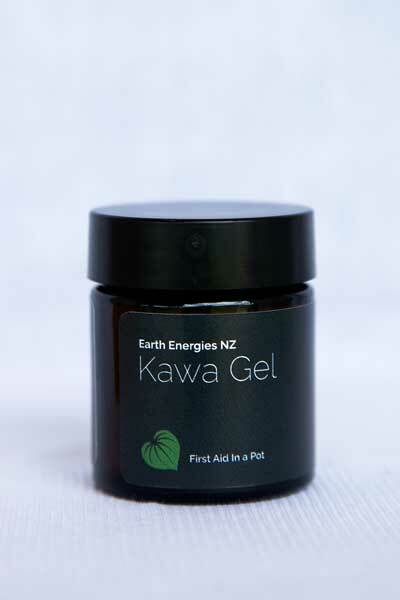 Kawakawa, Tea Tree – Manuka & Kanuka, Lavender & Lemon Verbena essential oils, Beeswax & Grapeseed oil. 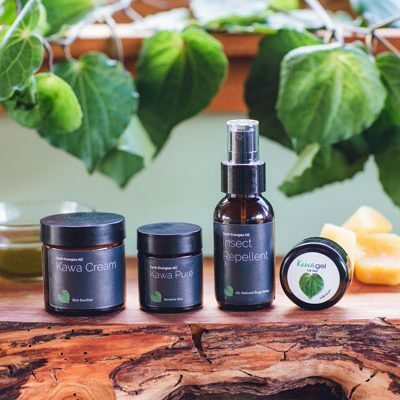 What a wonderful product! 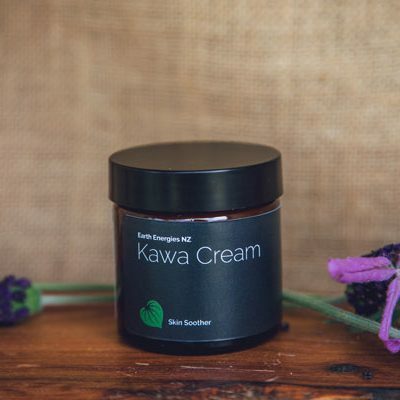 Have used this on all sorts of wounds now and it is on par with Manuka honey with the speed of healing a wound but without the skin irritation you feel with honey. I recommend this product highly. Thank you for your feedback Pip, its lovely to be able to share the benefits of NZ Native Herbs and we appreciate you taking the time to provide your feedback, the more we can let everyone know there are natural Kiwi products available the better. Thanks for your lovely feedback Patsy, we love it when our customers have great results from using our products… good on you for sharing!! I am from France and ordered some for my mum as it’s the only product that works on her. Now all the family use it! Thanks for giving other countries the opportunity to get some to!! My family and I recently went to Rarotonga. I wanted to pack something handy for healing all sorts, naturally healing and practical to use. I ended up thrashing the kawa gel as we all managed to get insect bites, sunkissed cheeks and dry lips. My husband also broke out in coldsores and I haven’t seen them heal as fast as they did! (He forgot to pack Zovirax) it was great to be able to use something healing for our baby, myself being pregnant (so many products you can’t use whilst being pregnant) and safe for the nanas as they are on blood thinners. 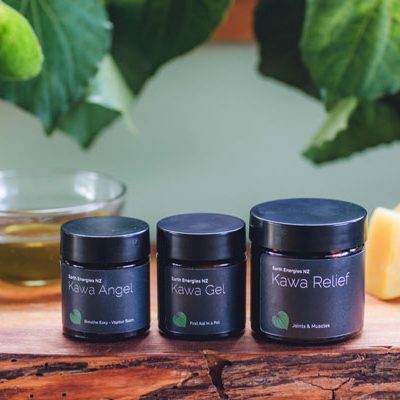 No mess/ fuss, naturally healing and oh so handy! 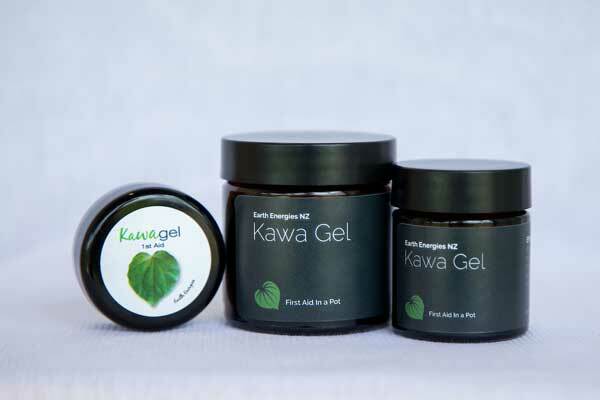 Now our “go to” for anything from dry lips, burns (hubby is a welder), insect bites etc thanks for a truly wonderful product! 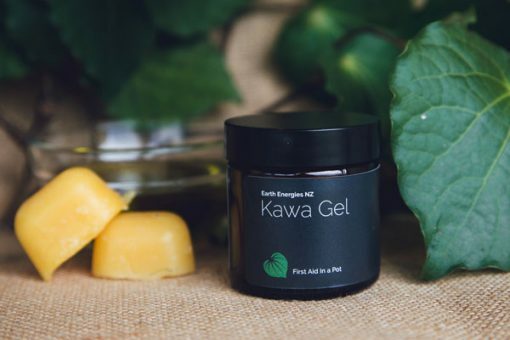 Oh your so welcome and thank you so much for sharing your wonderful experience with our Kawa Gel – First Aid in the Pot, sharing is caring, were so glad our products have helped your whole family blessings!! 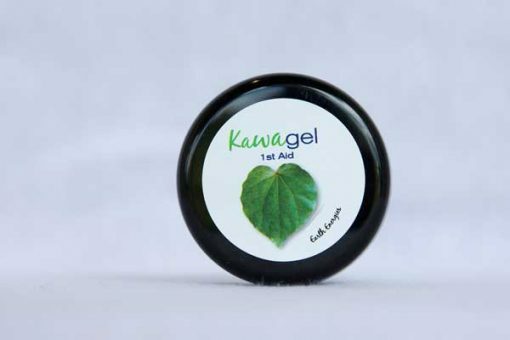 Hi, this is truly amazing stuff, I have been using it for along time now and find it is good for such a wide range of things, stings infections, dry lips ,sunburn and more. 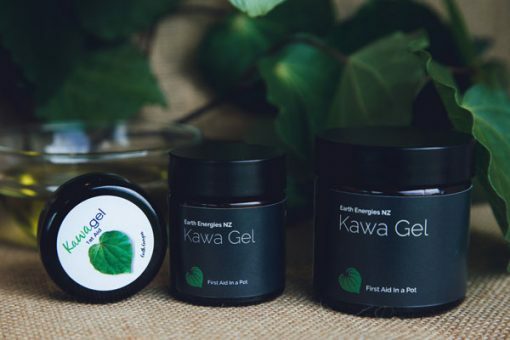 I love the little pottle that you can keep in your handbag and the bigger jars for at home. It is the best thing on itchy bites and stops the kids scratching right away. I can’t recommend it enough. We love it! Thanks for the great feedback Barbara we all love our Kawa Gel and its lovely to hear back from happy customers awesome! !